Iota has a full night of Americana music planned for Thursday August 10 with three great acts. Local rock legend Alex Parez, who is frequent at Iota, will play with his band The Hell Rojos bringing acoustic rock and old-time country. Joining them are the alt-country and Americana band from DC area The Walkways. 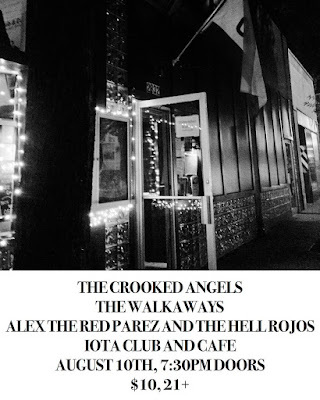 Headlining the night is the "bourbon infused Americana" sounds from the husband and wife band The Crooked Angels. Cover is $10 and doors open at 7:30pm with music usually starting around 9pm.